Milgard® Windows & Doors now offers its Thermally Improved Aluminum Series windows assembled in its plant in Grand Prairie, Texas. 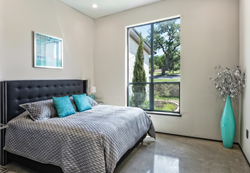 Milgard Thermally Improved Aluminum windows are equipped with an energy efficient thermal barrier, which vastly improves their insulating ability. The thermal barrier is an element placed within the frame to reduce the flow to heat. Milgard entered the Texas market in 2010 and is adding products to the Grand Prairie manufacturing plant to support a shorter lead time for customer orders. Milgard extends a Full Lifetime Warranty, including parts and labor, to the original purchaser of its Thermally Improved Aluminum Series windows and patio doors. Milgard will repair or replace any defect in materials or workmanship for as long as the purchaser owns his home. For more information, visit http://www.milgard.com/materials/aluminum or request a brochure.